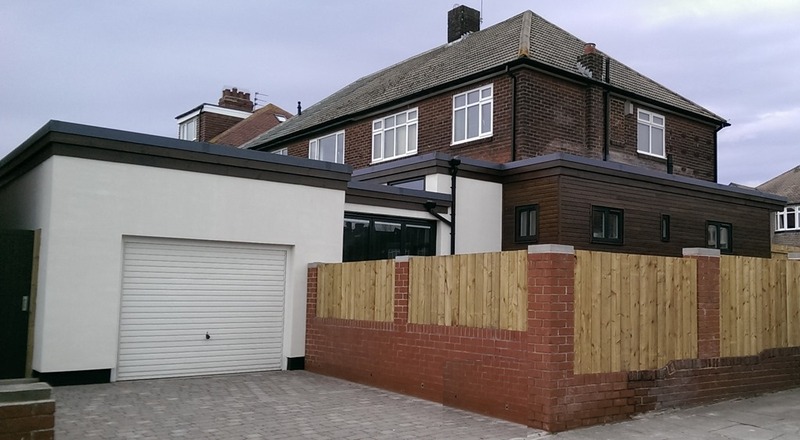 We are delighted to have finished the work at Millview Drive in Tynemouth. The project, which started in October has tested our technical know how to the limit, but has eventually succeeded. The objective was to create a modern living space utilising the most up to date energy conservation building techniques. High performance walls, floor and roofs were constructed that significantly exceeded the current building regulations in order to create a building that would have a low energy foot print. At the rear of the building high performance long lasting materials such as Metsä Wood’s ThermoWood was treated with high performance stains and lacquers before being secretly fixed to give a seamless & blemish free effect. The ThermoWood had to be made to millimetre perfect sizes as the windows had been ordered some 13 weeks earlier and were sized to exactly fit between the ThermoWood courses. 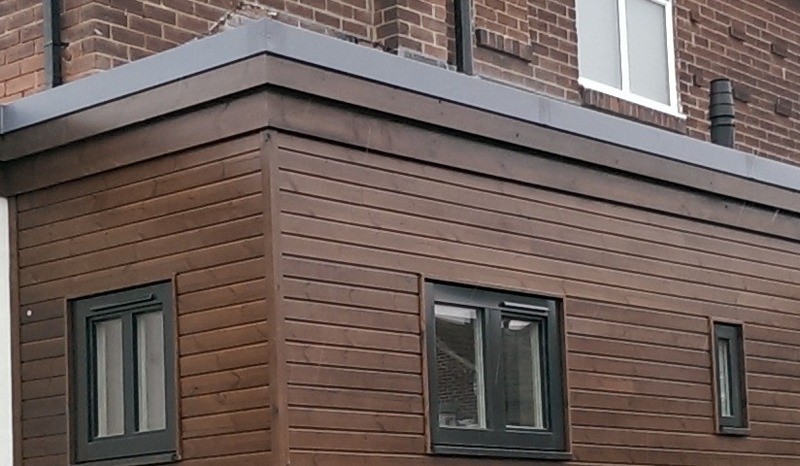 The task on site was then to fit the ThermoWood to the exact positions required, with hidden fixings, to ensure all of the head and cills of the windows lined up with the ThermoWood joints. As you can see from the above photo this was achieved to great effect. 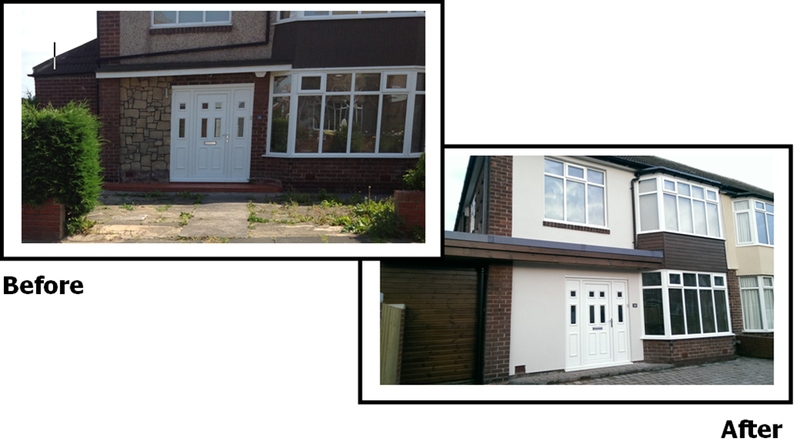 The front elevation was also transformed with ThermoWood, render and a new driveway. Once again ThermoWood ( http://bit.ly/PPO970 ) was used to create a stunning effect. The interior was fitted out with high a performance air management systems by Vent-axia, infra-red LED lighting and under floor heating using a Viessmann 200 series with external temperature weather compensation ( http://bit.ly/1g74LgB ). 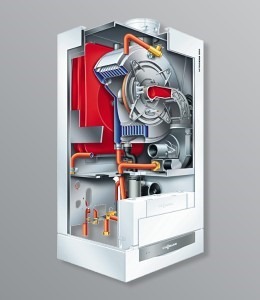 This allows the internal temperature of the house to be varied with reference to the external temperature producing a much smoother and more comfortable heating experience and saving money by allowing the boiler to run constantly at a lower temperature thus maximizing the benefits from the latent heat of vaporisation (condensate heat). The internal spaces were further enhanced with an oak staircase and balcony which were French polished to match the kitchen units. 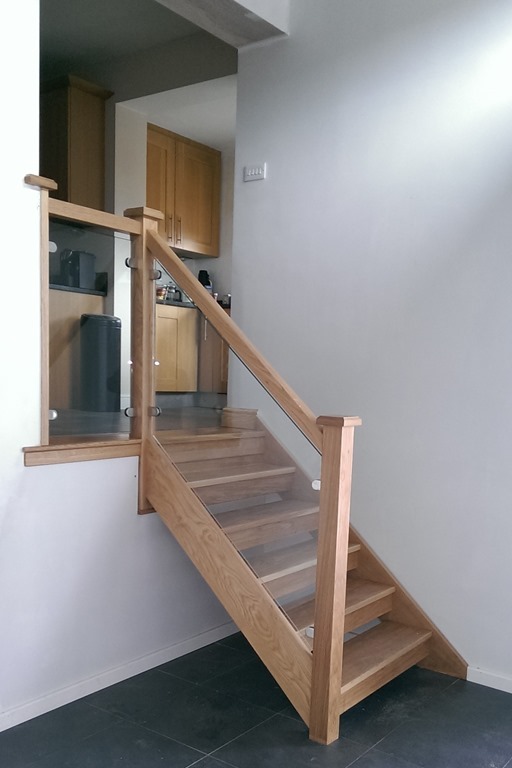 The staircase was a bespoke item made in Newcastle. 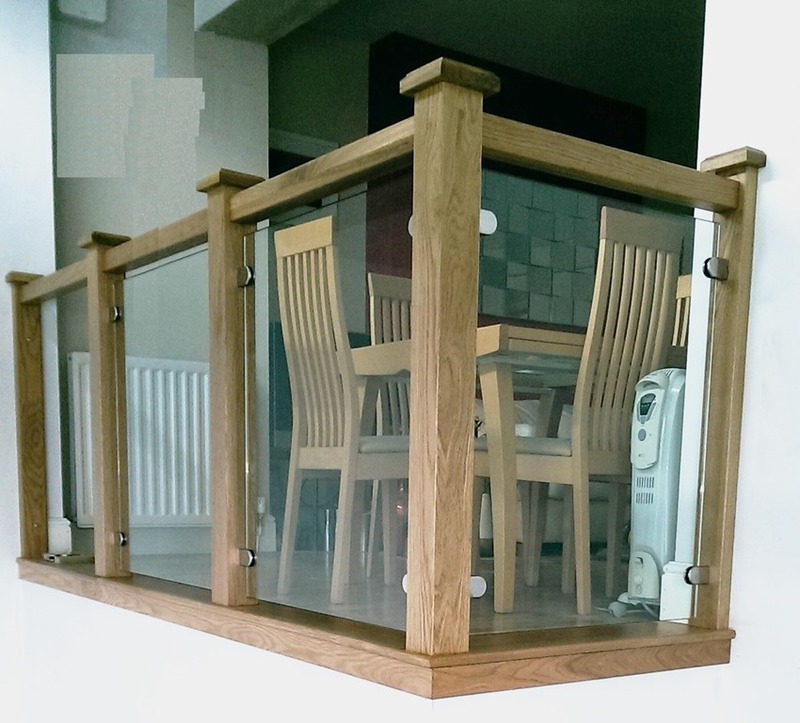 The balustrade is finished with 10mm toughened glass and secured with stainless steel fixings. 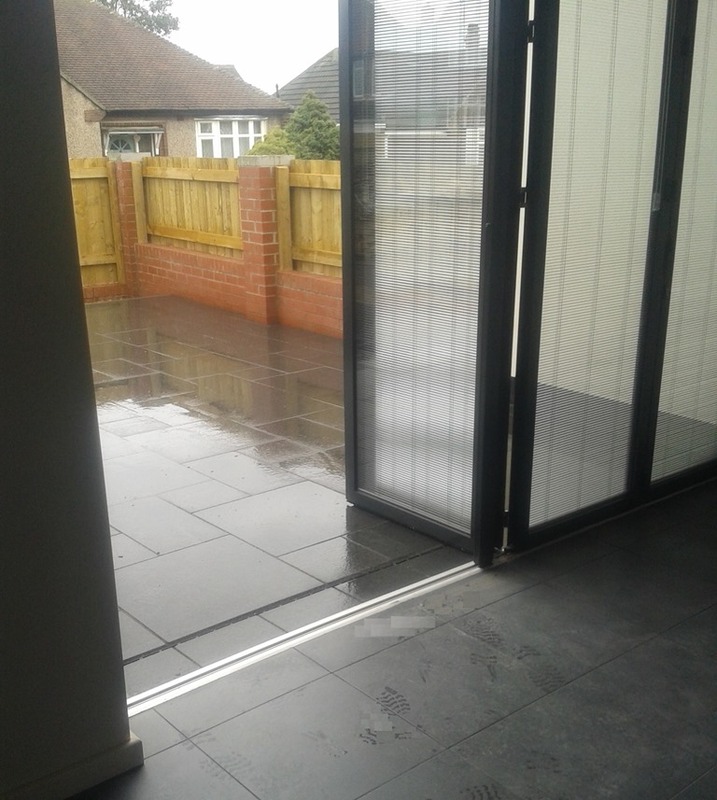 Above the under floor heating the floors were tiled with black tiles to match the granite paving outside the bifold doors which were constructed at the same level in order to create a seamless transition from inside to out. The Sunflex (http://bit.ly/PSJpxw) SF70 Thermally broken aluminium doors were fitted with integrated blinds allowing the convenience of privacy without the clutter of hanging blinds or curtains. We have found Richard Weir of Macoun to be extremely diligent and reliable. He was professional at all times and gave a huge amount of his own personal time to research the specific requirements of our project. We have been impressed with his ability to overcome the numerous technical challenges presented to him that were inherent to our plot. He listened carefully to our ideas and has been proactive in presenting alternatives many of which we accepted and which have added to the overall quality of our final build. Richard project managed the build which, as we both worked away a lot, was invaluable. The use of an online project management collaboration service meant we could see plans and pictures and be fully informed before making decisions even when away. 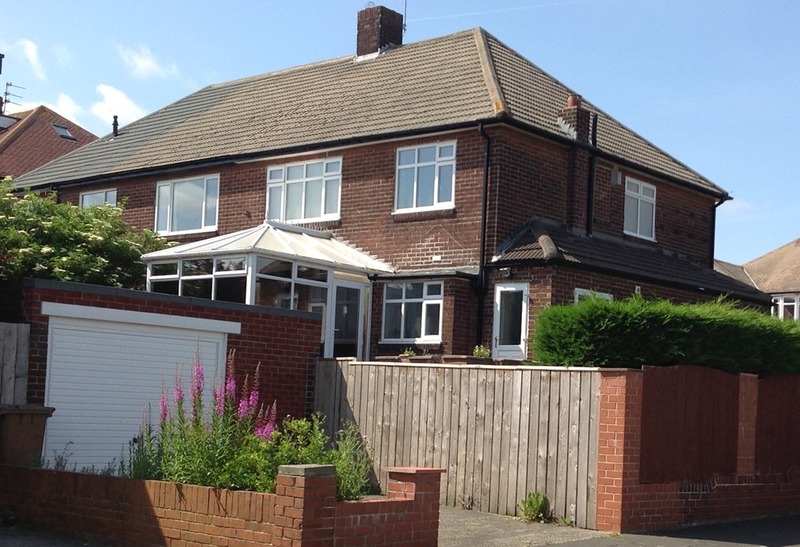 He turned our architects design into a reality and delivered a modern extension that has surpassed our expectations. We would use Richard again without hesitation.